Would you like to share your family memories on ItalianSide? We just received this story from Linda Hoffman. 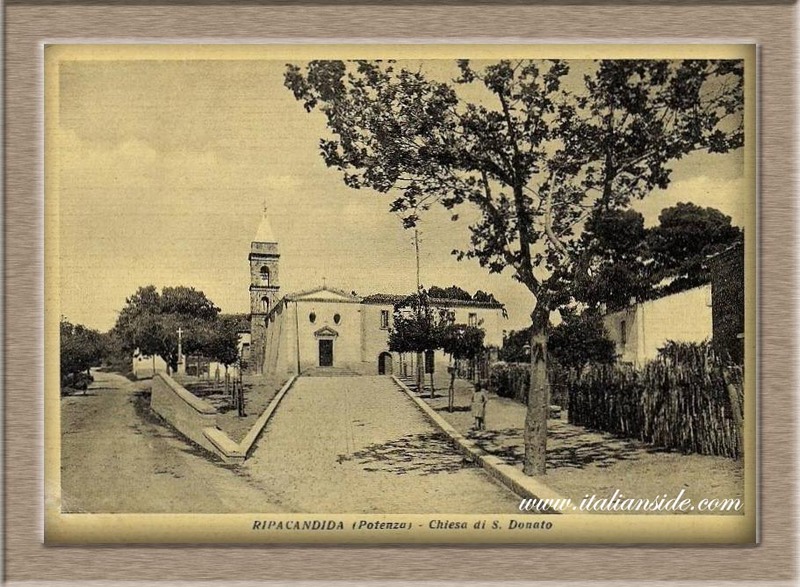 We helped Linda to know more about her family in Ripacandida (Potenza). Here is my story. 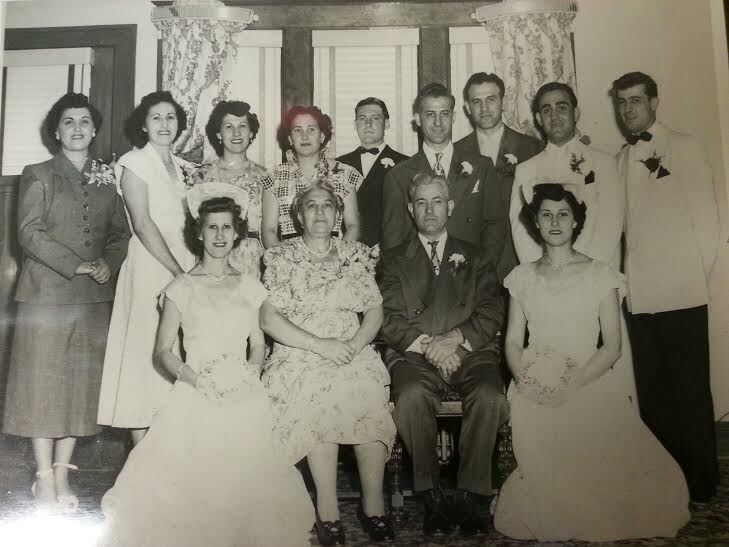 I never knew my grandparents, they passed away before I was born, but I grew up in a huge Italian family. My mother was the youngest of 11 children. We always had large family parties and as the family grew so did the parties. The traditions that my grandparents brought with them from Ripicandida Italy were always present. Money was pinned to the Saint and carried through the streets, and afterwards we all gathered at the family homes for our dinner. It was an all day affair. Those memories will forever be with us. I am an only child but was always thrilled to tell everyone that I had 22 cousins, just on my mom’s side. We celebrated Palm Sunday with homemade noodles and sauce sprinkled with fried bread crumbs, this tradition I have carried on in honor of my mother. All of my aunts and uncles are gone now, and although we try to stay in touch it has become harder as everyone got married and had their own families. But I started thinking, why don’t I know about where we came from. Yes I knew the town, and customs, but I wanted to know more. Finding the ItalianSide website was exactly what I was looking for. I may never know my ancestors or anything about them, but being able to now know who my great great great parents were was so exciting to me. They have a name, I know where they lived and when they were born. For without these people I would not exist. With this new information that ItalianSide gave me, I can now pass it along to future generations to keep it up. I have listened to other people tell me about how they can trace their ancestors back hundreds and hundreds of years, well now I can say the same. When I eventually make it to Italy I can now stroll the streets they once walked, and I would hope they would know that their great great great granddaughter wanted to know more about them! Honoring a family that I miss. This is a picture of the Labriola-Rondinella family from Ripicandida. My mother is the youngest, kneeling next to her father on the right. She carried the traditions with her always. Especially with the food, cookies, pasta’s, breads. Something I am trying to keep up, but it’s not easy. So thank you for again helping us find more about our ancestors.